Since you’re thinking of getting your home or property professionally pressure cleaned. 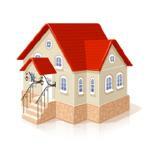 Here’s where you can you find more about quality exterior house cleaning in the Sydney area. Firstly, deciding to have your home area professionally pressure cleaned is making a wise investment. Did you know that with regular exterior house cleaning, the life of your house paintwork can be greatly extended? … saving you time, energy and money. And you’re going to love this … did you also realise that if you’re thinking of selling your property exterior house washing can literally improve your home’s external appearance, increase your home’s street appeal and maximise your selling potential. And if you’re moving house in the Sydney area, having your homes’ exterior surfaces — like the brickwork, weatherboards, eaves, awnings, roller doors, windows and grout pressure cleaned will leave a lasting impression. The other substantial benefits of pressure cleaning are … the removal of stains, everyday grim, slime, mould and dirt build up that has attached itself to your home, pavements and even your concrete driveway. On a more serious note: Having exterior mould removed is also recommended for your families’ long-term health and well being. Mould has been shown to seriously affect the health of people who are exposed or allergic to mould spores. In extremely rare cases, over-exposure to mould may result in bucal mould growth leading to asphyxiation. So when using an exterior house cleaning service or contractor in the Sydney area, it’s advisable to make sure the company you employ has comprehensive insurance. This safeguards you and the professional house cleaner while servicing and maintaining your property. That’s why … Pete’s house washing and exterior house cleaning service is fully insured.